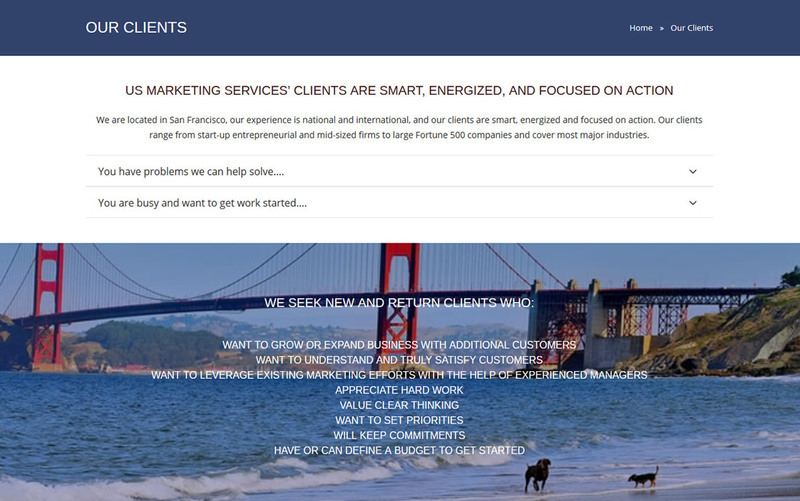 US Marketing Services specializes in strategic marketing and brand building. We worked closely with the client to provide assistance in organizing the content needed and in understanding their vision and the web design concept they had in mind. We created a responsive website design that changes size and shape on mobile devices and screens, and ensured cross-browser compatibility so that no potential customer would be left out. The client is very satisfied with the end results.